Answers for the many questions related to Christianity are newly available this week from a credible source, one who may even have gotten a divine plug. 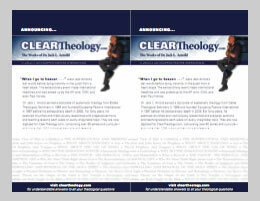 The life works of Dr. Jack L. Arnold are now readily available at ClearTheology.com, providing a searchable list of the pastor and theologian's sermons on every imaginable topic, from classical theology such as Ecclesiology and Soteriology to practical issues such as marriage and family, genetic engineering, and church politics as well as verse by verse commentary for a multitude of books in the Bible. 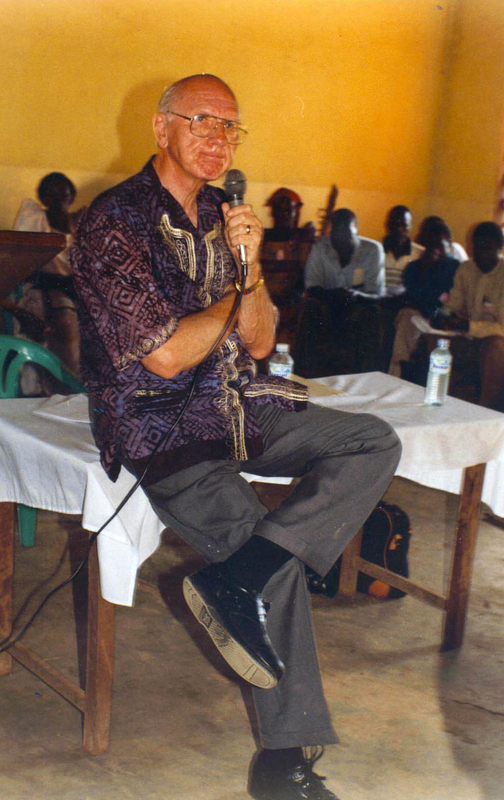 Arnold made international news in 2005 after dying instantly in the pulpit after uttering his last words, “ . 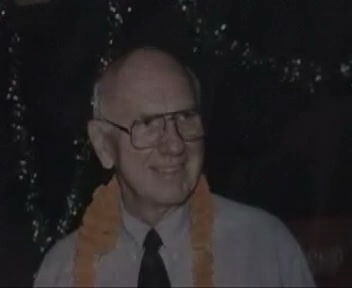 . . and when I go to heaven . . .” His extraordinary death was covered by the AP, CNN, and even Paul Harvey, but his life work—penning over 1200 sermons word for word, several a week for 40 years—has remained unknown to the larger public until now. EPI was founded in 1997 and includes on its board of reference Campus Crusade founder Vonette Bright, intellectual and thinker R.C. Sproul, noted speaker Steve Brown, and theologians Richard Pratt and John Frame. 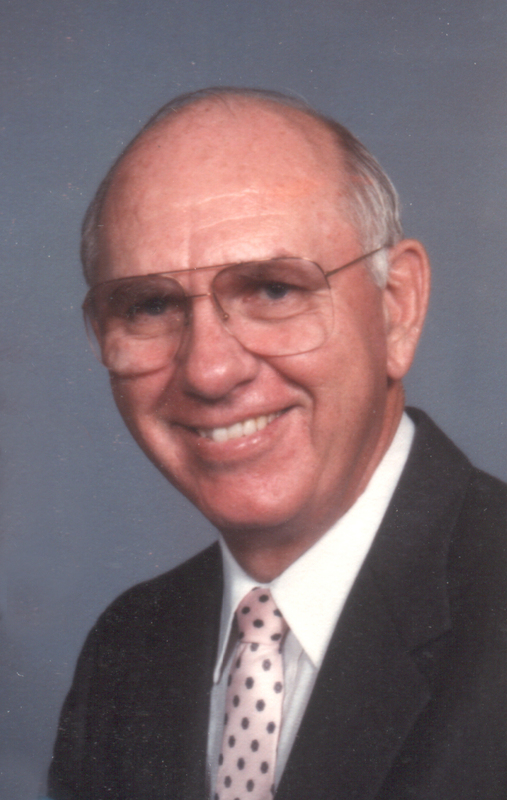 Jack Arnold the pastor was well known for his expository preaching. He made his way through a large portion of the Bible, verse by verse. 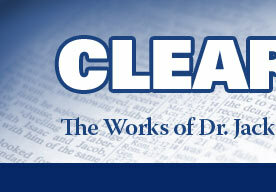 Among those sermon series archived at ClearTheology.com include the gospels, Acts, Romans, Hebrews, Genesis, Exodus, and many others. 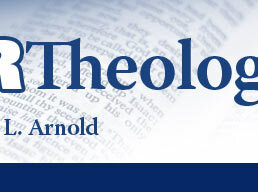 Arnold earned his doctorate in theology from Dallas Theological Seminary and received the Loraine Chafer Award for best student in systematic theology. 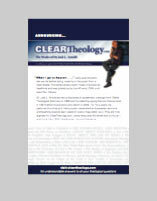 ClearTheology.com includes Arnold's sermon series such as Ecclesiology, Eschatology, Pneumatology, Soteriology and many others. 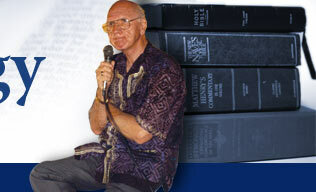 Arnold has a host of other sermon series on more practical approaches to the Christian life. Sermon series include Acceptable Worship, Church Polity, Experiencing the Holy Spirit, Biblical Evangelism, Healing, Christian Marriage, Family and many others. This is the same sermon, but preached a few months earlier than the day Jack died.